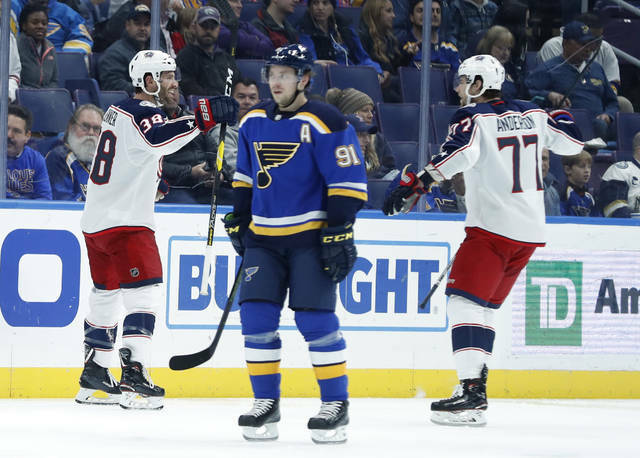 ST. LOUIS (AP) — Blues coach Mike Yeo expects fingers to be pointed after St. Louis’ latest crushing defeat. 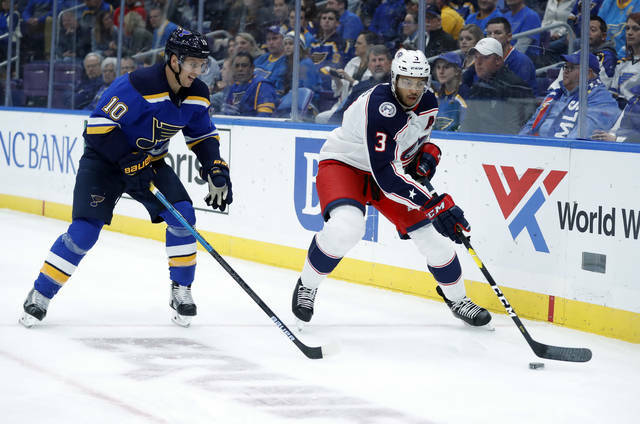 “Heck, my job should be in question,” the second-year Blues boss said following a 7-4 loss to the Columbus Blue Jackets. St. Louis blew a two-goal lead for the second straight game, then kept its locker room closed for 23 minutes for a private meeting. Alexander Steen said it’s a matter of work ethic. 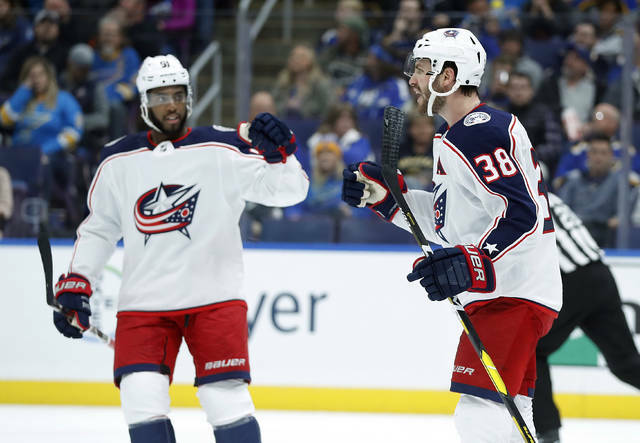 Columbus coach John Tortorella wasn’t pleased with his team’s response after falling behind in their previous game, but the Blue Jackets made up for it. Boone Jenner and Anthony Duclair each scored twice, Josh Anderson had a goal and an assist and David Savard and Seth Jones also scored. Joonas Korpisalo made 33 saves as Columbus snapped a two-game skid. The Blue Jackets took the lead with two goals in a 76-second span early in the second period. Duclair tied it at 2:01, pouncing on a loose puck in front of the net and tucking in past Allen’s pad. Jenner’s second of the game gave the Blue Jackets a 3-2 lead at 3:29. Savard’s goal from above the right circle made it 4-2 at 8:58 and chased Allen. Steen’s goal with 8:30 left got the Blues within a goal, but Anderson and Duclair countered early in the third put the game away. NOTES: The Blues assigned forward Robby Fabbri (groin strain) to its AHL affiliate in San Antonio for a conditioning assignment. … Nick Foligno picked up his 147th career assist to move into second in Blue Jackets history. … The Blues scratched C Robert Thomas and D Jakub Jerabek. … The Blue Jackets scratched D Adam Clendening, D Dean Kukan and LW Sonny Milano.